Americans need to vote for Donald Trump unless they want a nuclear war with Russia, says Putin ally. NATALIA KOLESNIKOVA/AFP/Getty ImagesVladimir Zhirinovsky speaks at a press conference in Moscow on January 16, 2012. 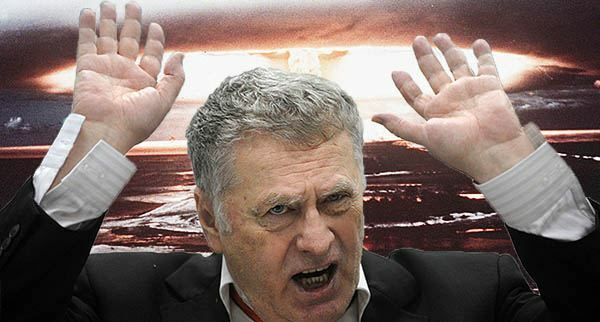 Vladimir Zhirinovsky, the ultra-nationalist ally of President Vladimir Putin, has told Reuters that Americans need to vote for Donald Trump unless they want a nuclear war with Russia. Electing Hillary Clinton would ensure that Russia would be provoked into starting World War 3 with the United States, Zhirinovsky said. 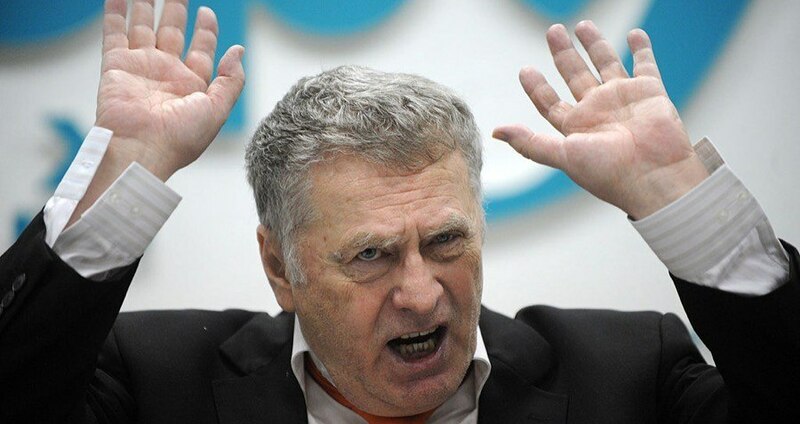 Zhirinovsky was recently given a top state award from Putin, who regularly uses Zhirinovsky and his clownish, outlandish statements, as a measuring stick to gauge public opinion on radical policies. Zhirinovsky’s Liberal Democratic Party of Russia, a pro-Kremlin political group, came in third last month during Russia’s parliamentary election. For his part, Putin has insisted that Russia is not involved in the efforts to influence the current U.S. presidential election. Nevertheless, the U.S. government has officially gone on record as saying that it believes that Russia is behind the hacked state emails currently being fed to Wikileaks, which alt-right Trump supporters are cheering on. Rumors abound that an incriminating — but fake — scandal will be dropped immediately before election day, and that by the time it’s repudiated, it will be too late for Clinton. And Trump seems willing to play along. At a rally this past Monday, he unwittingly spouted off Russian propaganda sourced directly from Sputnik, a Russian-funded website. Trump read aloud a misconstrued email in attempt to indict Clinton confidant Sidney Blumenthal with regards to Benghazi. Next, check out Putin’s glamorous life in Russia, before reading about one of Wikileaks founder Julian Assange’s Hillary Clinton conspiracy theories.